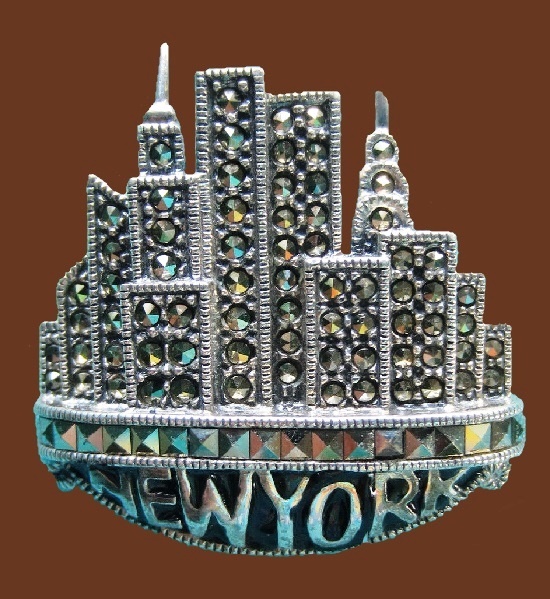 The American jewelry brand Celebrity N.Y. has existed for a short period of time, from the mid-1950s to early 1970s in New York. However, the approximate time and exact place of creation of the brand are almost the only facts we know about it. It is absolutely clear that because of this, the opinions of experts also differ in the estimates of Celebrity jewelry. So, Celebrity designers created bright jewelry, usually choosing rhinestones that are as close as possible to natural stones: amethyst, emerald, and ruby. As well as beads, almost indistinguishable from real pearls. According to the authors of the book “Fabulous Fakes: A Passion for Vintage Costume Jewelry”, all decorations made by Celebrity – handmade. Craftsmen manually inserted rhinestones and artificial pearls into intricate metal frames. However, the “jewelry” origin of Celebrity jewelry is very mythical. Some of the products of this brand were indeed coated with gold or silver, but they were never precisely smelted from precious metals. 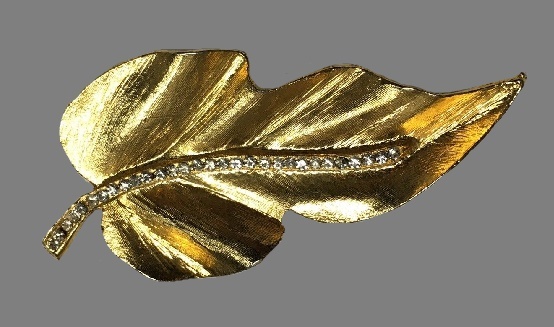 Founded over 35 years ago by Judith and Jack Rosenberg, the American jewelry company Judith Jack has gained recognition among collectors of costume jewelry. Since the very first day the company jewelers have made decorations exclusively from semi-precious stones, natural pearls, silver, and marcasites of special cut. For all Judith Jack jewelry is characteristic laconic design, strict geometric shapes, and sustained color range. Noteworthy, all Judith Jack jewels – handmade. Also, JJ masters make particular attention to the polishing, the smallest silver bead-filigree frames and contour ornaments. Similar attention to detail and workshop with silver, pearls and marcasite is the corporate style of Judith Jack. As a result, over the years of the company’s existence, Judith Jack jewelry has gained recognition of a huge number of jewelry lovers. A. Micallef and Company (AMCO) was founded in Providence, RI, the USA in 1919. However, the signature “AMCO” first appeared on jewelry in 1935. 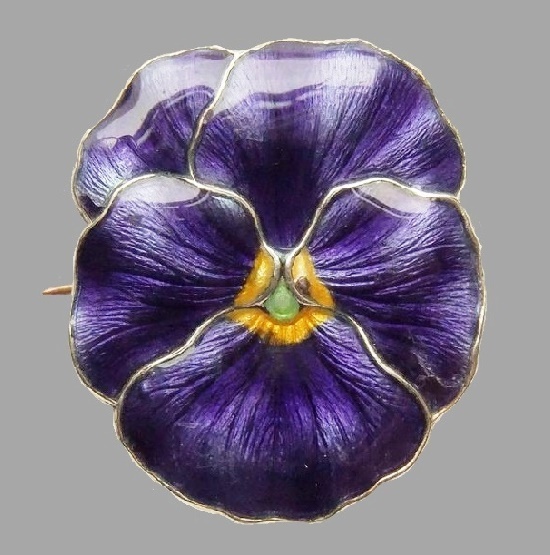 The company produced costume jewellery of amazing beauty made of gold, or gold filled and silver products: rings, cameos, brooches, pendants, bracelets, and earrings. Traditionally, AMCO jewelry has a stunning design, and is of high quality, comparable to such brands as Van Dell and Krementz. The company ceased to exist in the 1970s, so now these vintage items are of high value and continue to grow in value. 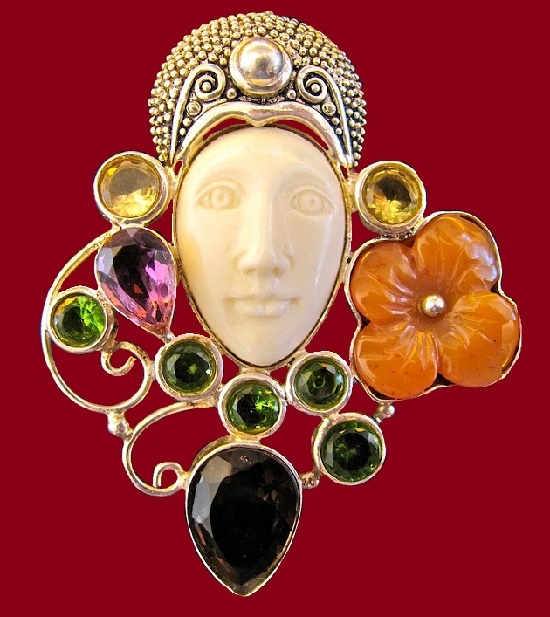 Marius Hammer was one of the rather famous masters of the Scandinavian Art Nouveau. He lived in Bergen and belonged to a family of hereditary Norwegian jewelers, many generations of which have preserved the traditions of northern goldsmithing. 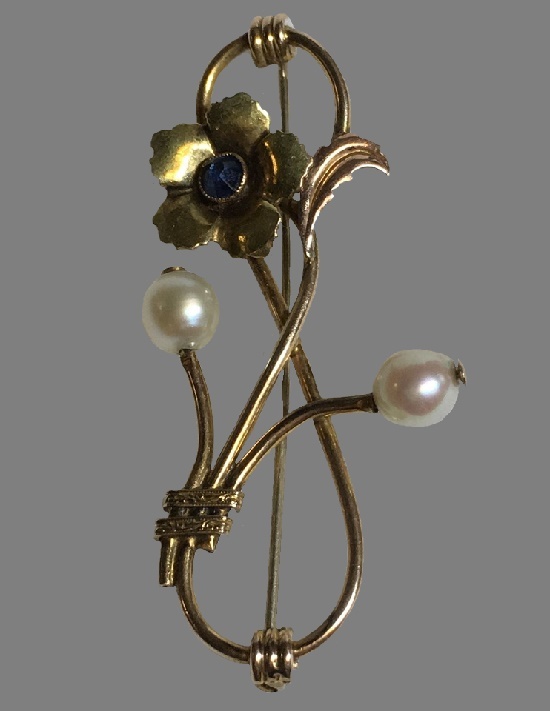 However, Marius himself, whose life years (1847 – 1927) occurred in a turbulently innovative period in decorative and applied art, experimented with traditional and new styles. Terefore, his decorations have a unique author’s look. This is undoubtedly modern, but the Hammer style is radically different from the typical Scandinavian modern style, with its simple lines and cool range of enamels. Marius Hummer usually filled the simple and symmetrical outer contour of the frame with filigree and additional decorative elements. In his jewelry, he used the motifs of traditional Viking ornaments, but creatively transformed them, and, at the same time, managed to preserve the harmony of the ornament in his transformations. Undoubtedly, this testifies the master’s great talent and impressive knowledge in jewelry. The American company Kenneth Cole KC appeared in 1982 named after its creator, Kenneth Cole, a brilliant American businessman and designer. Although Kenneth Cole deals mainly with clothes and footwear, but sometimes it pleases customers with new lines of costume jewelry. The main themes are Christmas, Halloween, St. Valentine’s, Independence and Thanksgiving Day. 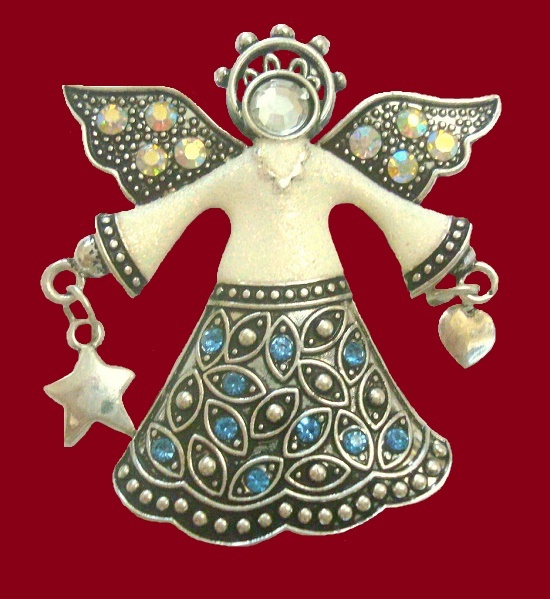 In addition, angels – one of the favorite stories of past collections. 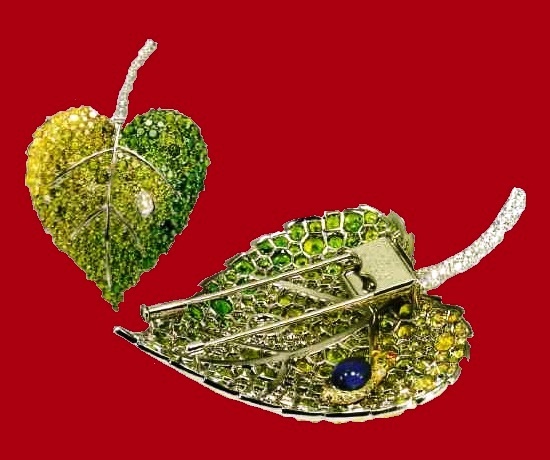 The main materials in his costume jewelery are jewelry alloy of silver and gold tone, pearlish enamel, as well as multicolor crystals and art glass.